I had read end enjoyed John Elder Robison’s treatise on life with Aspergers, “Be Different,” and so I eagerly looked forward to reading his latest volume, “Raising Cubby: A Father and Son’s Adventures with Asperger’s, Trains, Tractors and High Explosives.” In this book, Robison shares his experiences of raising his son, Jack (aka “Cubby”) who also has Aspergers, although neither of them knew how or why they were different when their father/son relationship began. One thing I loved about this book is the respect with which Robison treats his first wife, affectionately known as “Little Bear.” While their marriage didn’t work out, he dedicates the book to her, stating “Even though we have not been married to each other for many years, her achievement in raising our son is not to be minimized. To the extent that he is a prize-winning specimen, she is large part responsible.” In the pages of “Raising Cubby,” it is obvious that he holds her in high esteem and that they worked together to raise their son. As the mom of a twelve year old Aspie kid, I find reading books about Aspergers interesting because while each child is different, they do provide me with some insight into how my son sees and relates to the world. This one took a little while for me to get into, but I’m glad that I stuck with it. What especially grabbed my intention was the development of Cubby’s obsessions as he grew older. Unfortunately, his obsession with chemistry led to some very negative consequences in that he ended up being prosecuted by the District Attorney for possession of explosives. The latter part of the book is devoted to relating the tale of the court case. For those who enjoy legal drama, it makes for some compelling reading. As an added bonus, Robison and his family live in my corner of the world. While I do not recall this particular court case, I am personally familiar with many of the locations Robison refers to in his story. “Raising Cubby” is a testament to parenting, love, and being wired differently. It is valuable for anyone who loves someone with Aspergers. Armstrong and Thomas share their own experiences of being part of big-hearted families growing up and then creating their own version of such a family once they married and began to have children. This is not a two women project, however. Many other voices weigh in and share powerful, and sometimes difficult stories, of the struggle to love generously and be open to life. Thomas Mahala shares his story of fearing having a child with Down Syndrome. When his 8th child and first daughter after seven sons was born with an extra chromosome, he struggled to love her, but with time and God’s grace, that love came. Calvin Bader shares he and his wife’s struggle with infertility and how they became foster and adoptive parents. DeeAnn Smith writes of her struggles with alcoholism and what it meant to have the unconditional love of her children as she worked to get well. Jeffery Gross highlights the life of his son who was born with cystic fibrosis and who also suffered from muscular dystrophy. Sherry Antonetti focuses on the adventure of taking a trip with ten children. These are just some of the stories featured. 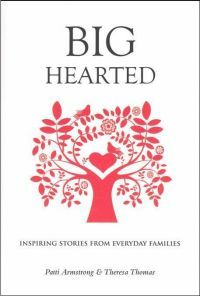 Light-hearted stories balance heart-wrenching ones, but each of the families featured in the pages of “Big-Hearted” have something to teach all of us about the power of love and the importance of putting God first in our family life. 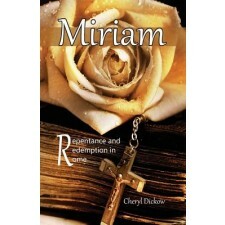 “Miriam: Repentance and Redemption in Rome” by Cheryl Dickow is a sequel to “Elizabeth: A Holy Land Pilgrimage,” but don’t worry if you haven’t read the first book. “Miriam” is an engaging novel all on its own. Miriam Goldfarb is the Jewish daughter of a woman who was killed in a bombing in Israel. As this novel opens, we meet her as she is serving as a Mossad Agent, a member of Israel’s Institute for Intelligence and Special Operations. She is in love with Joseph, a fellow agent, who has a Christian mother and Jewish father. Because of his background, he is open to learning more about the Christian faith and Catholic saints. It also makes him extremely valuable as a Mossad agent. The two are chosen for a secret operation in which they will offer protection for an end-times meeting of “The Four Horsemen” in Rome – four highly respected religious leaders who are making a last-ditch effort to turn the world from its evil ways. The four include the pope, the highest Muslim cleric in Lebanon, and two chief rabbis in Israel. Elizabeth from the first novel returns in a supporting role as she and her husband take a trip to Rome and end up providing support to Miriam when she needs it most. This is an apocalyptic novel, although the timing of the final coming is not known. It simply maintains that the signs are here and it is time to become ready. One quickly turns pages, eager to discover how it will all turn out. With “Miriam,” Dickow has once again made a wonderful contribution to the genre of Catholic fiction. Connie Rossini has put together a brief, straight-forward, and insightful handbook on how to live a holy life in Five Lessons from the Carmelite Saints That Will Change Your Life . The five key lessons are 1) You were made for union with God, 2) Holiness begins and ends with love, 3) Prayer is necessary for salvation, 4) Little things matter, and 5) The greater your trust, the greater your spiritual growth. Rossini relies on wisdom from notable Carmelite saints St. Teresa of Avila, St. John of the Cross, and St. Therese of Lisieux as the foundation of her text. These three Doctors of the Church provide a wonderful starting point for anyone seeking to live a life in union with God. Five Lessons from the Carmelite Saints is deceptively simple, but one could spend a lifetime learning and practicing its lessons. Do you see yourself as worthy of God’s love? Many women don’t. Due to sin, disappointments in life, and voices in the outside world, Satan is often able to convince women that they have lost God’s love and these women in turn give up hope. “Satan wants nothing more for us than for us to buy into the lie that we can never, ever, ever be redeemed." Amanda Mortus, a young woman with an important message, wants to reach out to these women who are in such pain and speak the truth of God’s love to them. 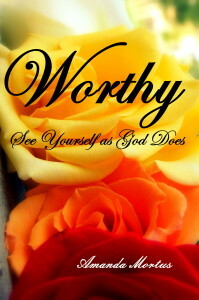 Worthy: See Yourself as God Does is an incredibly honest book. Mortus shares her own experience of living a double-life for a semester in college. As she states, she “spent her days as an angel and my nights unleashing the devil within,” spending her time partying, drinking, and spending her time in unhealthy relationships. She deeply regrets that time, but it did give her valuable insight into the lies that Satan is so eager to feed all of us. “It is not enough for Satan to lead us to believe that we are unworthy of love, of hope, or joy, or peace, or prosperity, or wealth, or salvation. We must believe that we are truly unworthy of all of those things.” As a result, women end up believing that “we feel we have no right, no place, and no need to hope for mercy.” At times, we believe the lies so much that suicide begins to seem like the only answer. Mortus offers Mary, “the perfect example of womanhood and of what it means to fully serve God,” and the Proverbs 31 woman, who is “clothed with strength and dignity” as role models for women to look to as they seek to live for God. “As women of worth, we are called to be clothed with strength, which actually means that we are clothed in His strength.” In the end, letting go and surrendering to God is the only way to allow Him to fix our brokenness. While written primarily for young women, Worthy is for any woman who struggles with her sense of self or who finds herself looking for love and happiness in all the wrong places. I've been thinking about it for a while and I've decided I need to take a blog break for the summer. I need some time to regroup and do some discernment. The one exception is that I do have some book reviews I've promised people so I will be honoring those requests and posting those as they become available. Discerning a vocation is a big deal and one that should be taken seriously by young people. That isn't always (or even frequently?) the case, however. For the past year or so, when we say the rosary at night, I pray with my big boys that they choose the right vocation in life and be the people God wants them to be. I don't know what God has in mind for my children. I know where their strengths and weaknesses lie, but what they are supposed to do with them is still a mystery to me and to them. Neither one of them has an interest in becoming a priest, but they don't show much interest in marriage either. Of course, puberty may change that! Whatever they do or become, I want them to be the men God created them to be. On the other hand, the young man who wrote the following blog post: Vocation Discernment may very well have a vocation to the priesthood. I know him and in my humble estimation, he has the intelligence and personality to make a good one, if that is what God is calling him to do. And that's the thing - he's really working to figure that out - whether God is calling. Maybe you could say a prayer for him as he works through this process? I wish all young people, my own children included, would take discerning who and what they are supposed to be in life as seriously.